The bond between Search Engine Optimisation (SEO) and link building dates back to late 90s. Links are, indeed, connectors between different web pages on the Web. Writing for the Web is more than just ‘content’. You can write the most-appealing content and design user-friendly web pages; however, if your content lacks links, you are just no one in the eyes of search engines. A simple strategy that works on the Web is, more the number of links in your content, better the ranking for your web page. But, what is the most-appropriate link? What should be your linking strategy? Are these some questions to which you seek answers? Unfortunately, there is no perfect answer to these. Every netizen has a different definition and strategy for link building. But there are still some common factors that everyone keeps in mind. If you ask me, I definitely keep the following factors in mind when I search for good links on the Web. The ‘trust factor’ comes into play during link building. Authentic websites rank high in Google and getting a link from any trusted website does half the work! But checking the authenticity of a website (or a web page) is another task. Common sense says that how good or bad a website is can be easily calculated by the links to that website. Another practice is to look for the Google page rank of a website (http://www.prchecker.info/) and link to the one with a high page rank. I’m sure you would not want to link to a beauty website if your website talks about Finance (unless you’re financing beauty businesses :)). Link to a website that very closely talks about the same subject as that of your website. I would choose a link that includes keywords that closely match my subject rather than a link that merely says, ‘click here’. Another key point in link building is that the hyperlinked text should be informative in itself. And trust me, this helps in increasing the page rank as well! The crux of any good website is its content. 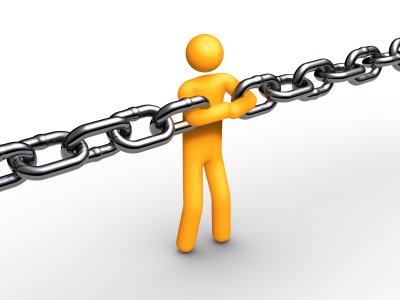 Unless the content on your website is relevant, generating links will be very difficult. In addition to your ‘link hunting’, other netizens should also be compelled to link to your website. And this happens only when the content on your website is relevant and possesses high quality. Well, these tips should be good to start. But, don’t forget nothing is stable in the online world with competition increasing every day. 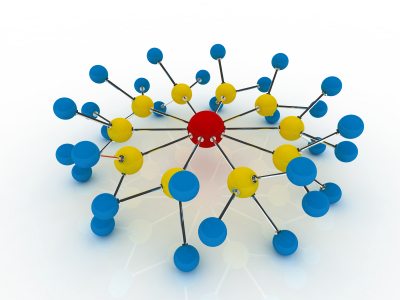 Ensure you revise your link-building strategy and don’t be scared of experimenting.